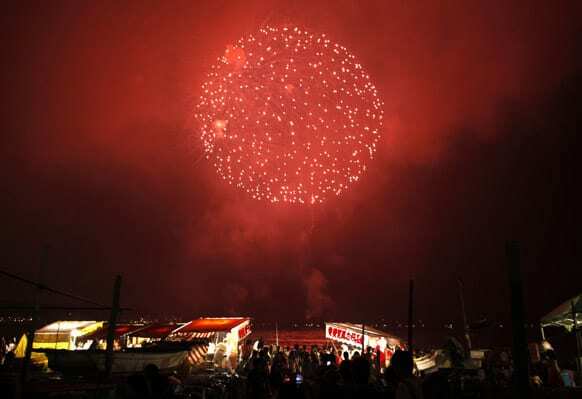 Firework explodes over sidewalk stalls on a beach during a summer festival in Kamakura, near Tokyo. 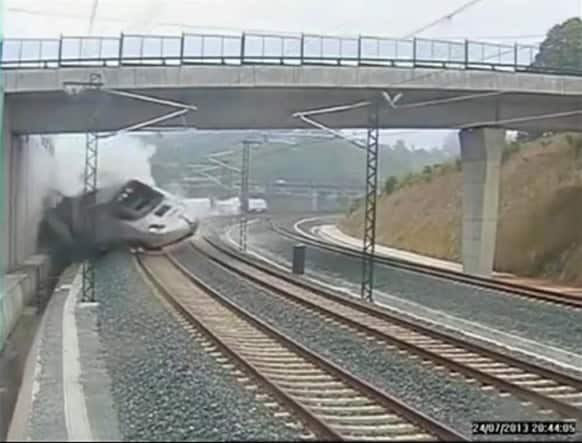 This image taken from security camera video shows a train derailing in Santiago de Compostela, Spain. 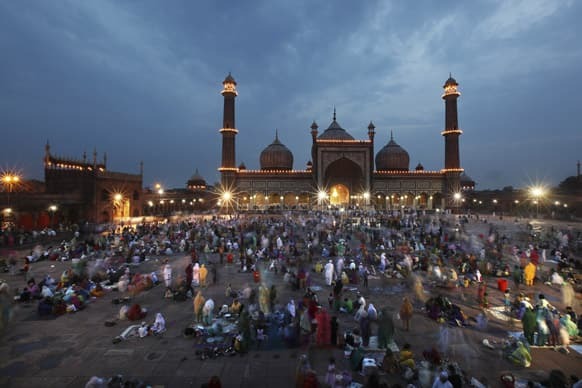 Devout Muslims break their fast at dusk during the holy month of Ramadan at the Jama Masjid mosque in New Delhi. 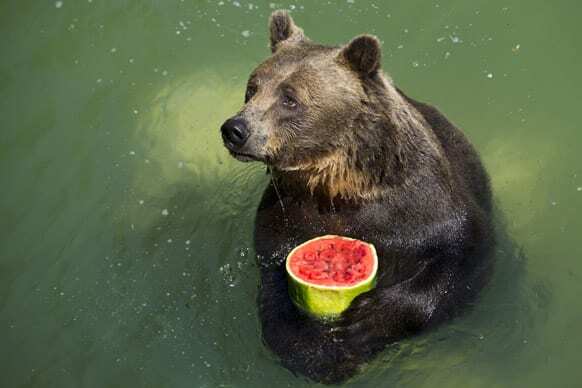 Brown bear Sandro holds a frozen watermelon to refresh himself in Rome`s Bioparco zoo. 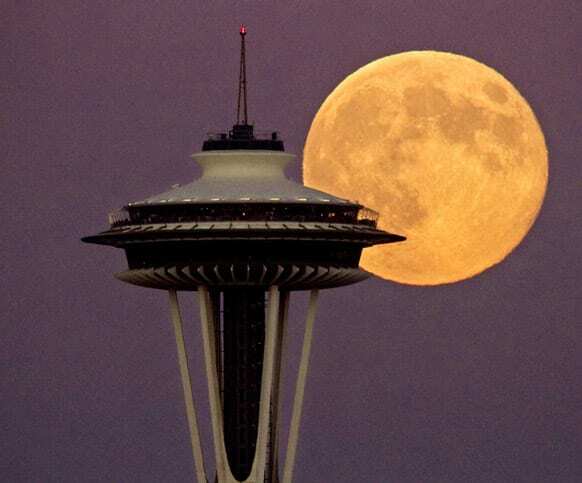 A full moon rises besides the Space Needle, in Seattle. This view is from the Ursula Judkins Viewpoint, part of Smith Cove Park, in Magnolia, Wash. 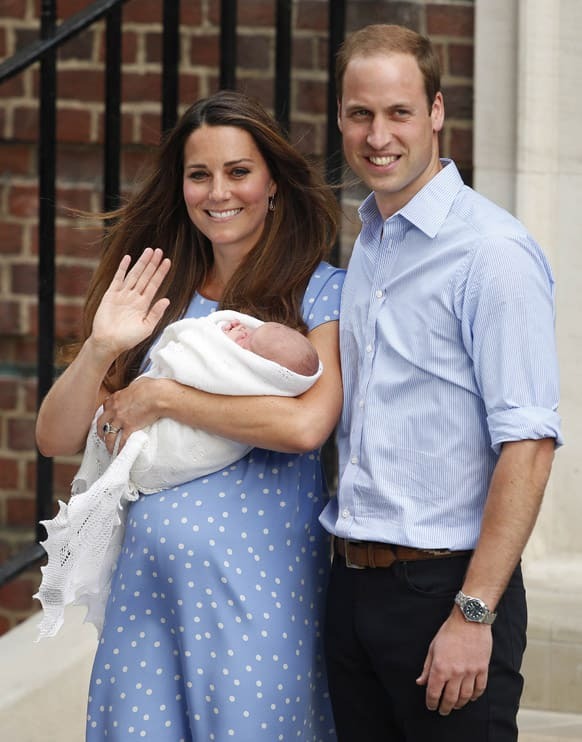 The Duke and Duchess of Cambridge leave the Lindo Wing of St Mary`s Hospital in London, carrying their new-born son, the Prince of Cambridge, who was born Monday, into public view for the first time. The boy will be third in line to the British throne. 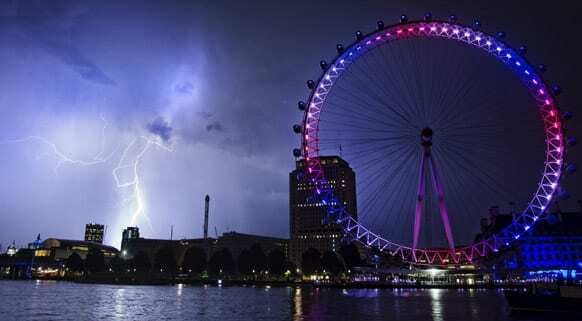 Lightning strikes behind The London Eye in central London which is lighted up in the national colors of red, white and blue to mark the birth of Prince William and his wife Kate`s first child.